The Kooks are a British rock band formed in Brighton, East Sussex, in 2004. The band currently consists of Luke Pritchard (vocals/guitar), Hugh Harris (lead guitar/synth), Alexis Nunez (drums), and Peter Denton (bass guitar). The original bassist was Max Rafferty. The lineup of the band remained constant until the departure of Rafferty in 2008. Dan Logan served as a temporary replacement, until Peter Denton joined the band permanently in October 2008. Early in 2010, Pritchard announced the departure of drummer Paul Garred, due to a nerve problem in his arm. Late in the year, Garred rejoined for studio sessions, however Chris Prendergast played drums when the band played live. In 2012, the band was accompanied on drums by Alexis Nunez (from Golden Silvers), who eventually joined the band full-time. A self-described “pop” band, their music is primarily influenced by the 1960s British Invasion movement and post-punk revival of the new millennium. With songs described as “catchy as hell”, The Kooks have experimented in several genres including rock, Britpop, pop, reggae, ska, and more recently, funk and hip-hop, being described once as a “more energetic Thrills or a looser Sam Roberts Band, maybe even a less severe Arctic Monkeys at times”. Signed to Virgin Records just three months after forming, The Kooks broke into the musical mainstream with their debut album Inside In/Inside Out (2006). The album was ultimately successful, achieving quadruple platinum status in the UK within a year and also overseas in the form of a platinum certification in Australia and two times platinum in Ireland. 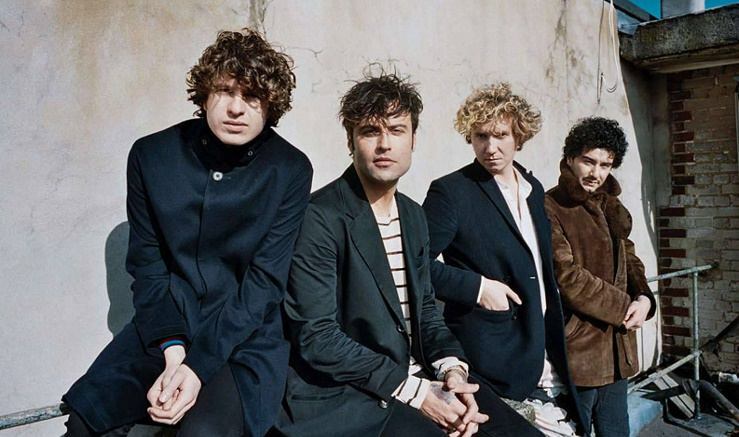 The Kooks found themselves entering into mainstream media attention, with the band winning the award for Best UK & Ireland Act at the MTV Europe Music Awards 2006 and picking up a nomination at The Brit Awards for the single “She Moves in Her Own Way”. With their follow-up Konk (2008) debuting at number one on the UK Albums Chart, it recorded first week sales of 65,000, achieving gold status in both the UK and Ireland. Their third studio album, entitled Junk of the Heart, was released on 12 September 2011. Their most recent album Listen was released on 8 September 2014 and debuted at No. 16 on the UK Albums Chart. Wikipedia®.